Welcome to the NEMO I Galapagos cruise accommodation section! 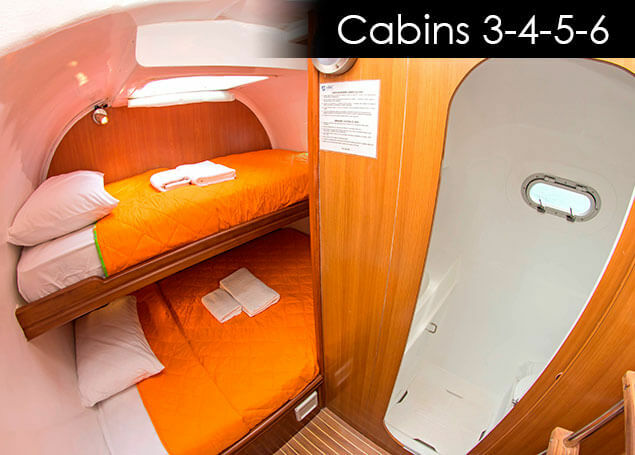 Take a look at our photos below of our cabins that will be your homestay during you NEMO I Galapagos cruise. Imagine yourself aboard one of our NEMO Galapagos cruises and grasp a feel of what the NEMO I galapagos island cruise accommodation entails. 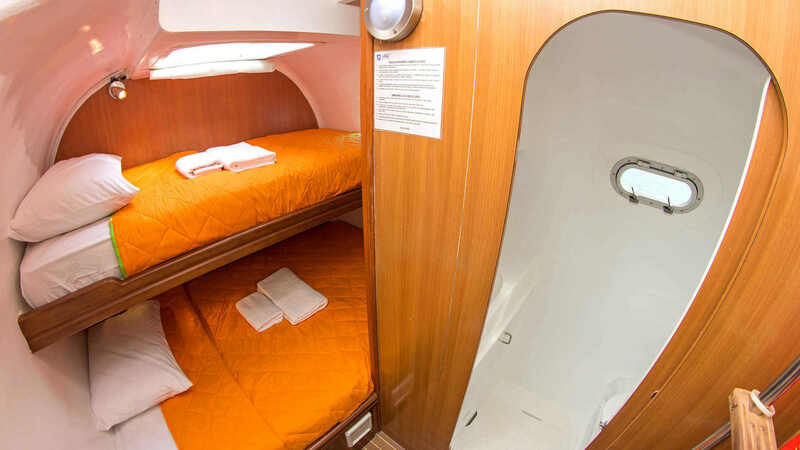 Each NEMO I galapagos island cruise accommodation is complete with its own en-suite bathroom, AC unit, and daily fresh towels. All of our comfortable cabins on each of our NEMO Galapagos cruises are made for rest and relaxation after a playful day of exploring the islands. 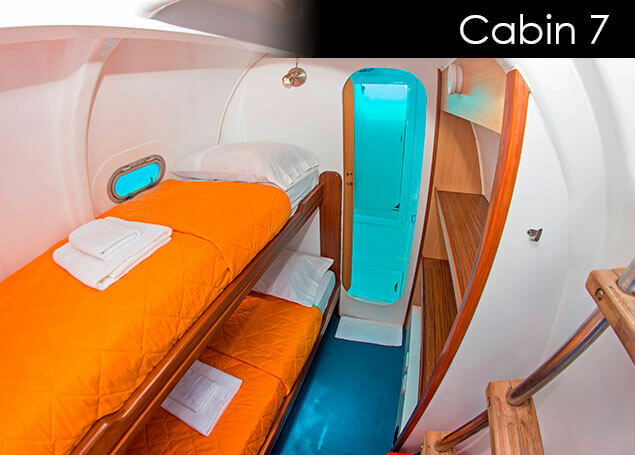 The NEMO I Galapagos cruise accommodation has several sorts of cabins to accommodate the needs of the passengers. Three have an upper bunk and lower double bed for up to three passengers if it is a family with a small child for those that want to stick together during their NEMO I Galapagos cruise. There is two additional NEMO I galapagos island cruise accommodation that are specifically for couples with just one double bed. 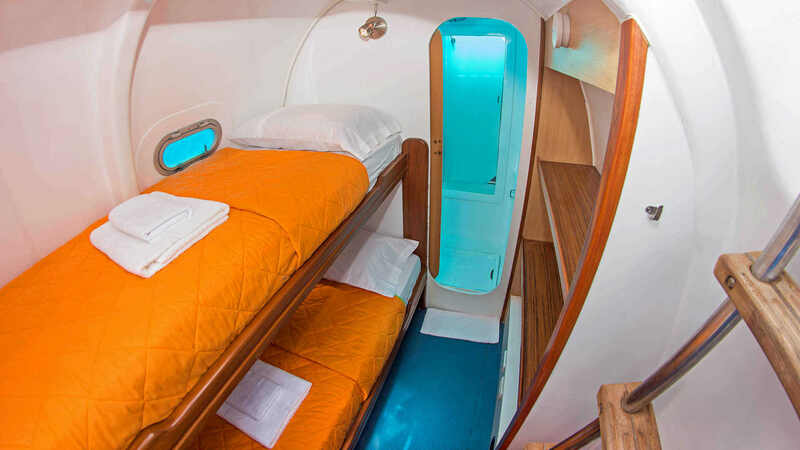 Last of the NEMO I Galapagos cruise accommodation are two cabins with one upper bunk and a lower single bed. As you can see the NEMO I Galapagos cruise accommodation fits with whatever sort of traveling companion you may have whether you are alone or with your family. NEMO Galapagos cruises appeals to anyone in the world and the NEMO I galapagos island cruise accommodation provides a home away from home while embarking on an out of this world vacation. NEMO Galapagos cruises understand that accommodations are one of the most important factors when electing your vacation. Our NEMO I galapagos island cruise accommodation boasts comfortability accompanying a total experience. Take a look at all the NEMO Galapagos Islands cruises and take note that all of our accommodations are impeccable and most have been recently updated. While you may not be in your cabin much during your NEMO I Galapagos cruise, we still want your NEMO I Galapagos cruise accommodation to be a sanctuary for when you need rest or a timeout from a sun filled day. You can feel safe leaving your belongings behind and heading to one of the many excursions that NEMO galapagos cruises offers. From the excitement of the day’s activities you will be grateful to have a warm or cold shower (depending on your preference) and the chance to relax in a comfortable bed while traveling to your next destination on the NEMO I Galapagos cruise. Every morning you wake from your NEMO I Galapagos Cruise you head to the dining area for a deliciously cooked breakfast before preparing to go on your next destination. Afterwards, you return to your NEMO I Galapagos cruise accommodation to either rest, change clothes, or get prepared for the next outing! Your NEMO I Galapagos cruise accommodation is cleaned thoroughly on daily basis while the passengers are out on their excursion to make sure they do not bother passengers while they are onboard. With the years of experience that NEMO Galapagos islands cruises has obtained, we are very well versed on how to make an unforgettable vacation. The NEMO I galapagos island cruise accommodation provides more than just the basics. All of our NEMO Galapagos islands cruises provide comfortable cabins that exceed expectations. 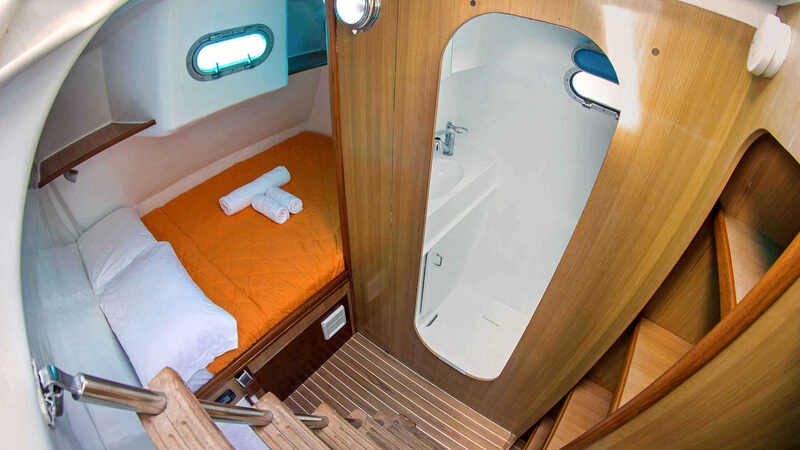 When first entering your NEMO I galapagos island cruise accommodation you will be pleasantly surprised to find your own en-suite bathrooms and sizeable beds with air conditioning. The NEMO I galapagos island cruise accommodation has all the essentials you need to enjoy your vacation. 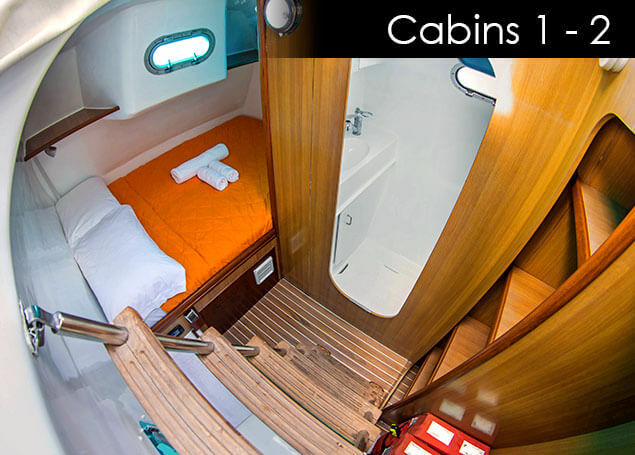 The same can be stated for all the cabins in any of our NEMO Galapagos islands cruises. All of NEMO Galapagos islands cruises are exceptional and NEMO I is no exception.